Previous Article getcher strawberries here! I bought them from our local Extension office. They did variety trials at Oregon State University for five years, if I remember correctly, and the local Master Gardener program got to pick over the leftover plants. But they do have haskapberries for sale via mail order from other places — check online. I’ve been browsing some Canadian grower sites this morning. They even have a Facebook page: http://www.facebook.com/home.php#!/pages/Haskap-Berries/323479439651?ref=ts . Thanks, Mike! I’m thrilled that someone has more information. I thought that Dr. Thompson was working with Japanese and Russian breeds, but it sounds like you know much more than I do. So just to be clear — I should call them haskapberries, right? We were told (on a long-lost info sheet) that they could be called honeyberries, haskapberries, or blue honeysuckle berries. And who was Haskap, anyway? I’m going to have to get some of those! 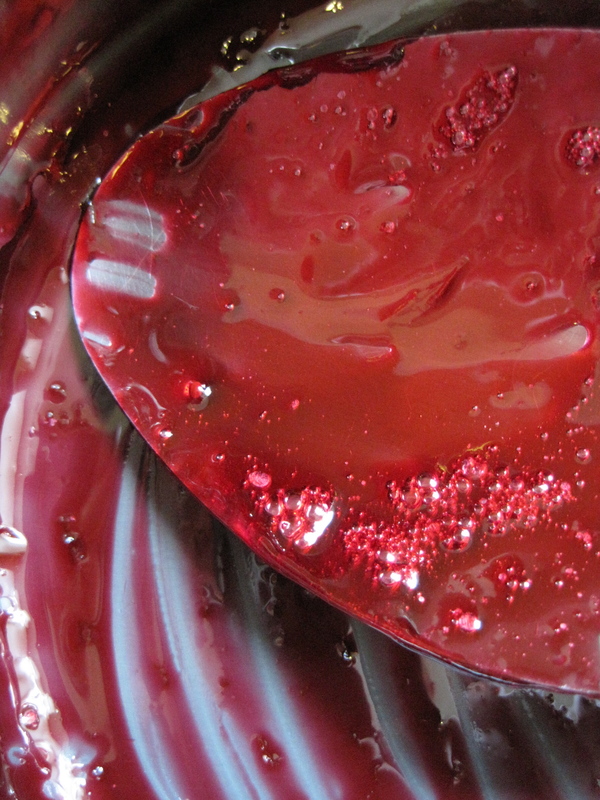 Do you think you could make a strawberry-haskapberry jam mix without added pectin? Hi Gary: you could add strawberries, but I’m not sure you’d want to, as the haskapberry flavor and color are both very strong and would completely demolish the strawberry. Her focus has been on the Haskap subspecies from Hokkaido. 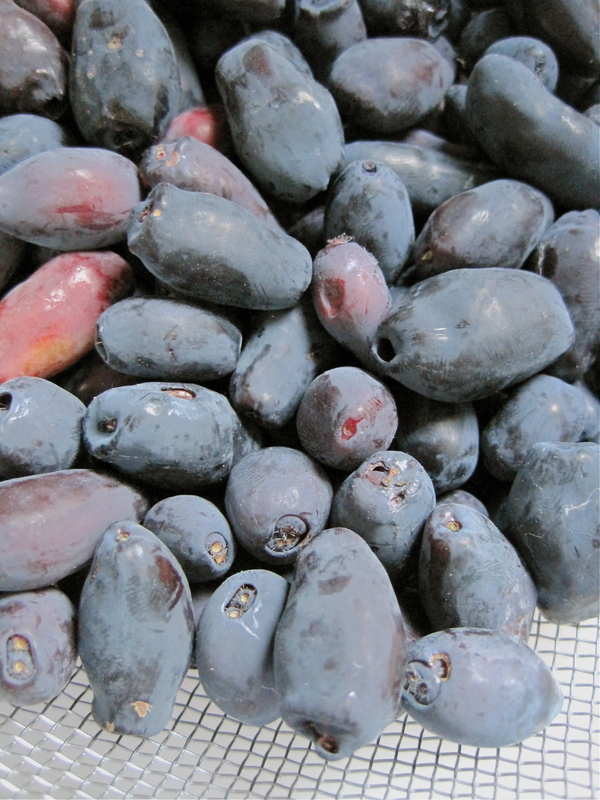 The group of researchers breeding edible blue honeysuckle is fairly small and seems to exchange germplasm so she may well be working with other subspecies as well. So just to be clear — I should call them haskapberries, right? We were told (on a long-lost info sheet) that they could be called honeyberries, haskapberries, or blue honeysuckle berries. Best, I think, to call them edible blue honeysuckle. And who was Haskap, anyway? “Edible blue honeysuckle” is a big mouthful, awkward for the consumer to use — I’ll stick with haskapberry, since that’s what Maxine Thompson calls them and I don’t see anything in the literature that would make her nomenclature untrue. Thanks for all your information, Mike! And if you’re growing them, good luck! Fall is the best time to plant haskap. Please visit our site http://www.haskapcentral.com for volume pricing and availability. Nice close-up photo! If you look closely, you’ll see the reason this berry is so healthy for you. Near the bottom of the photo, you can see that the berry is actually 2 berries with their own skin, then they are wrapped with a complete other skin. What an Amazing berry!!!!!!!!!!!!!! Curtis: I’m not a big fan of drive-by advertising on the blog, but I’m curious about the niche market “Haskap Central” and other haskap sellers are jockeying to form. Are you trying to argue that the berries are actually double skinned? Because that just isn’t true. And if they are, they are therefore more healthy? I’d really like it if you would substantiate these advertising claims. Haskapberries are delicious and an easy to grow crop for the PNW, and I would much rather see them reach success slowly than have an açai-like boom under bogus miracle cure claims. I want your farms to be successful, don’t get me wrong. I just think the taste can speak for itself. Well, this is useful, five years later! I never laid eyes on a haskap until this morning at the farmer’s market. I love making jam, but have given up on blueberry jam because I don’t use added pectin and blueberry jam won’t set, no matter what I do to it: I even mixed it with pectin-rich red currants last year, and it still came out runny. But if a haskap tastes like a blueberry and is so full of pectin you have to keep an eye so it doesn’t go rubbery, then haskap jam it will be! The Haskaps in the picture are looking a little too green to be ripe. 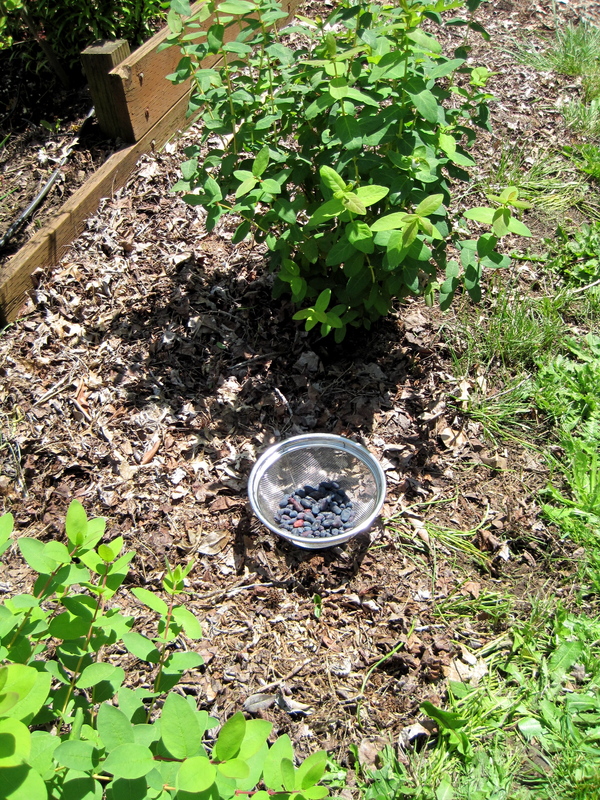 It takes at least 10 days to 2 weeks for the berries to fully ripen after turning blue. They should be dark purple all the way through not translucent inside like a blueberry. My favourite way to eat them is straight off the bush. I have been making jam sweetened with just enough honey to take off the edge. They are a delicious, extremely nutritious Berry with so many ways to use them fresh and cooked.